Around 600 young and senior pharmacologists from 5 continents are now in Geneva for the 11th biennial Congress of the European Association for Clinical Pharmacology and Therapeutics (EACPT). More about the 11th EACPT Congress in Geneva. The Geneva Congress brings together a wide range of international delegates, including health professionals, clinical and life scientists, policy makers, professionals from the biotechnology and pharmaceutical communities and others interested in the spectrum from basic to clinical pharmacology and pharmacotherapy, and from drug discovery to regulatory affairs. For the Geneva Congress, there are 101 invited speakers from 21 countries - 15 from the European region and a further 6 countries internationally, from the USA, Canada, New Zealand, China, Benin and India. Around 400 abstracts from 57 countries from all 5 continents are being presented as oral and poster communications. 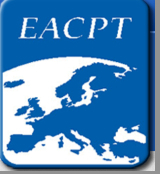 The EACPT was founded 20 years ago and now includes all national organisations for clinical pharmacology in Europe. The EACPT aims to provide educational and scientific support for the more than 4000 individual professionals interested in clinical pharmacology and therapeutics throughout the European region, with its congresses attended by a global audience. The EACPT also advises policy makers on how the specialty can contribute to human health and wealth.